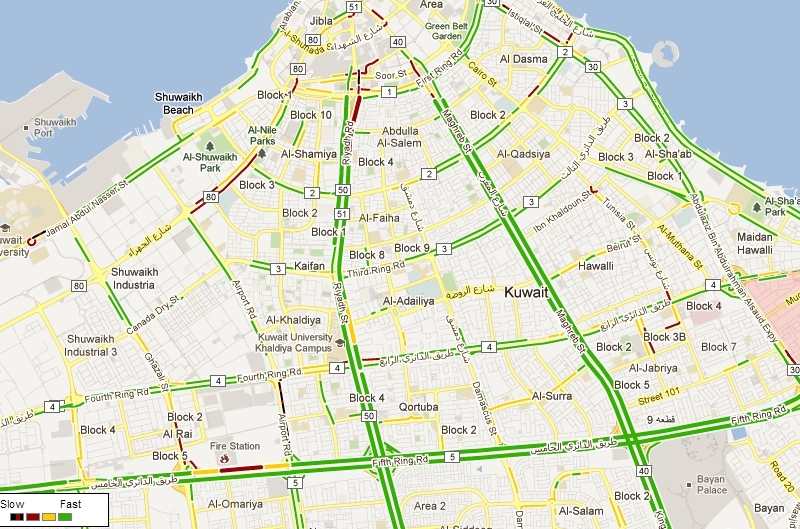 Google Maps now has Traffic enabled for Kuwait. 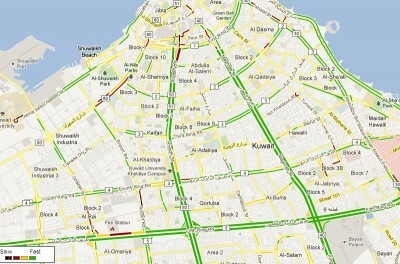 This is going to become the most handy tool for drivers in Kuwait. With the highest road accident rates in the world, most traffic jams seem to be accident related. I’ll be checking on this tool almost every time I head out. I’ve discontinued my mobile internet subscription but those who have it could benefit even more with real-time data and directions. So all you people out there with internet and GPS enabled phones, please leave them on while driving. I could benefit the most. BTW, Kuwait & Jeddah are the only places in the GCC with Traffic data.